Activity in the UK's construction industry accelerated in February, a survey has indicated. The Markit/CIPS purchasing managers' index (PMI) rose by a point to 60.1, its highest level since October. A score above 50 indicates growth. The housing, commercial and civil engineering sectors all showed signs of accelerating growth. The news came as housebuilder Taylor Wimpey and construction supplies firm Travis Perkins posted upbeat results. On Monday, a similar PMI survey suggested that growth in manufacturing hit a seven-month high in February. Construction accounts for about 6% of the UK economy. Commenting on the construction figures, Tim Moore, Markit's senior economist, said: "The latest survey highlights renewed vitality within the UK construction sector, as output growth picked up further from the soft patch seen at the end of 2014. "However, some construction companies noted that the uncertain general election outcome could prove a temporary bump in the road for new work." Also on Tuesday, Taylor Wimpey became the latest UK housebuilder to report a jump in profits, following strong figures from firms such as Bovis Homes, Persimmon and Barratt Developments last week. Pre-tax profits at Taylor Wimpey jumped 67.7% to £450.1m in 2014, with revenues climbing 17% to £2.69bn. Chief executive Peter Redfern said: "2014 was an excellent year for Taylor Wimpey. Customer confidence is high with good levels of employment and an affordable mortgage environment." 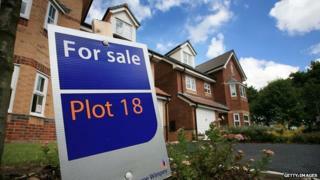 As at 1 March, the firm said it had sold 51% of houses currently being built and had an order book worth £1.66bn. Separately, Travis Perkins, whose chains include Wickes, City Plumbing, Keyline and Tile Giant, reported pre-tax profits of £321.4m for 2014, up from £312.6m the year before. Chief executive John Carter said the firm had seen "encouraging progress in the majority of our businesses". But he warned that "it is still relatively early in the recovery of the UK construction industry."